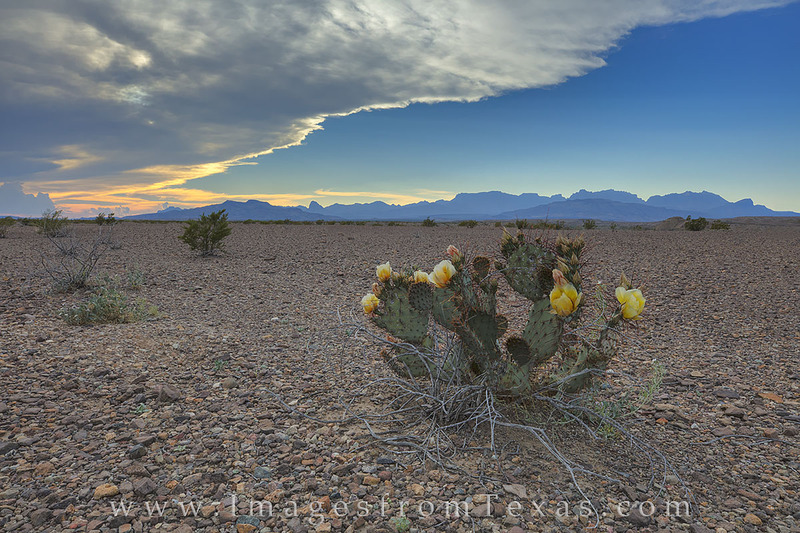 A prickly pear cactus in bloom stands in stark contrast to a barren landscape on the eastern slope of the Chisos Mountains. Big Bend National Park offers a variety of ecosystems ranging from the desert seen here to groves of pine and even a few remnant aspen trees in the higher elevations. Photo © copyright by Rob Greebon.